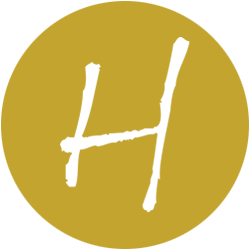 Enjoy a relaxing hands on class with one of our Hartleys chocolatiers, we will wow your guests and teach them to make their own chocolate Easter eggs with some yummy truffles to go inside! 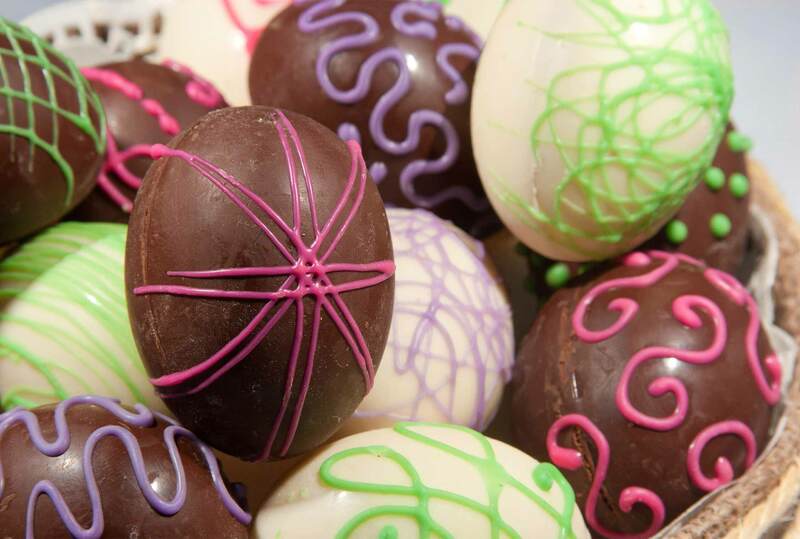 Guests can expect to learn how to temper chocolates make ganaches and take home a showstopping egg for Easter day. We can run this with a competitive side if so desired getting teams to make chocolate eggs to sell at company offices and donating proceeds to charity! Watch a professional chocolate demonstration from our Michelin Star trained chocolatier on how to “temper” chocolate like a professional. The chocolatier will then show intrigued guests how to make the chocolate egg using the tempered chocolate we will include a short talk on how chocolate is made and let guests taste and touch cocoa beans. 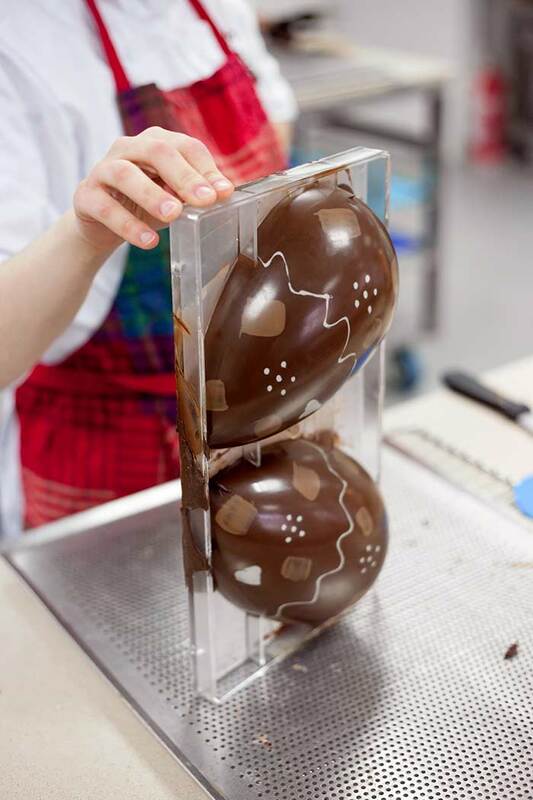 Guests will shape, dip, and decorate their moulded chocolate eggs and master the art of tempering, we will also get them to make a range of chocolate truffles to go inside their egg with our chocolatier. There will be sweets treats colours and icing so individuals can get creative and even personalise eggs and chocolates if they wish. Finally we will show guests how to gift wrap their eggs using patterned cellophane wrap and gift bows ready to give away to your chosen charity or to keep for themselves. 14:00 We warmly welcome your guests and explain what is to be expected of them, guests are put into groups (unless pre-selected) and go to their chocolate cooking zones. Hats and aprons are put on and a Head Chef (who will be awarded the head chef hat) is appointed by each team if competitive. 14:20 A demonstration is given by our chef(s) on how to temper chocolate make ganaches and creste moulded eggs, this may be on a big screen for larger groups so all the guests can see and understand the technical skills that are required. 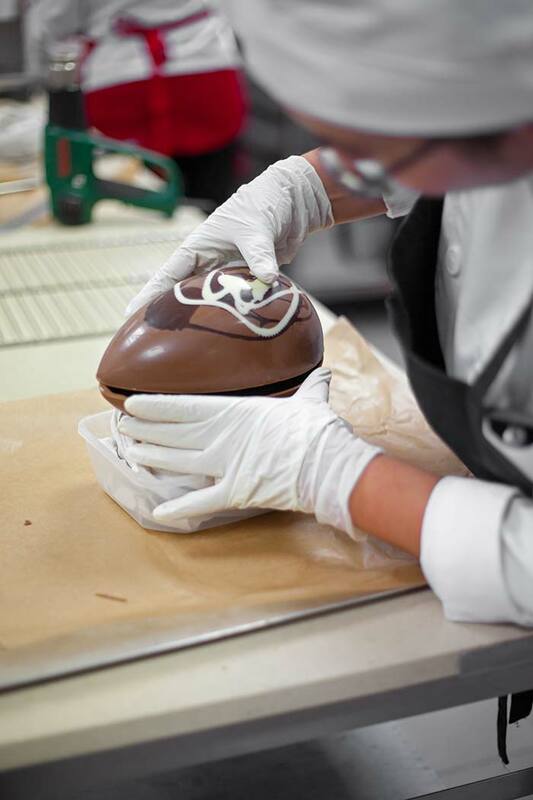 14:40 Practical commences with guests making chocolate eggs and truffles. 16:30 Practical concludes, the chef will judge each course if the event is competitive. 16:55 if competitive the winning team is announced, medals awarded and proud photo moments for the winning team are shared. During the event debrief your host and chef will share the most amusing moments and highlights from the activity and conclude with thank you’s and goodbyes.